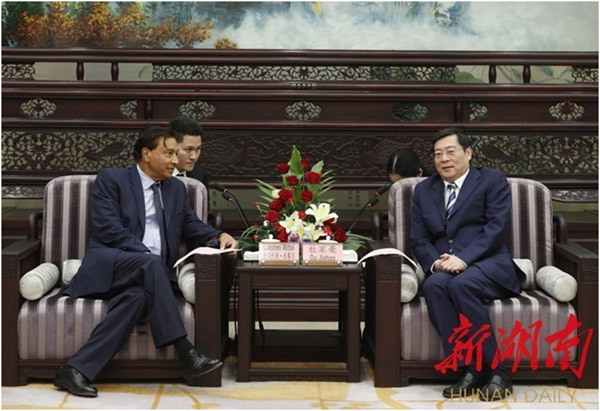 Du Jiahao, Party Secretary of CPC Hunan Provincial Committee and Director of Standing Committee of Hunan Provincial People's Congress, met the delegation from ArcelorMittal led by its Chairman and CEO, Mr. Lakshmi Mittal today. Du welcomed Lakshmi Mittal and his team to visit Hunan once again. He said that Hunan Valin Steel ceased its restructuring after sizing up the situation and returned to its core business of steel in 2017, securing the full backing from the capital market. Valin ArcelorMittal Automotive Steel Co., Ltd (VAMA for short) also continued to grow bigger and stronger based on its bilateral cooperation with ArcelorMittal. Currently, auto industry cluster building in Hunan won its initial success. Major auto makers are undergoing rapid growth, providing a broad space for VAMA to expand its market. Hunan will keep deepening its long-term strategic partnership with ArcelorMittal, continuously raising VAMA’s market share and driving auto manufacturing industry in Hunan for rapid growth. He hoped that ArcelorMittal would continue its technical support, allowing VAMA’s automotive steel production to maintain the same standard as the highest in the world, and promote its product quality and international competitiveness. 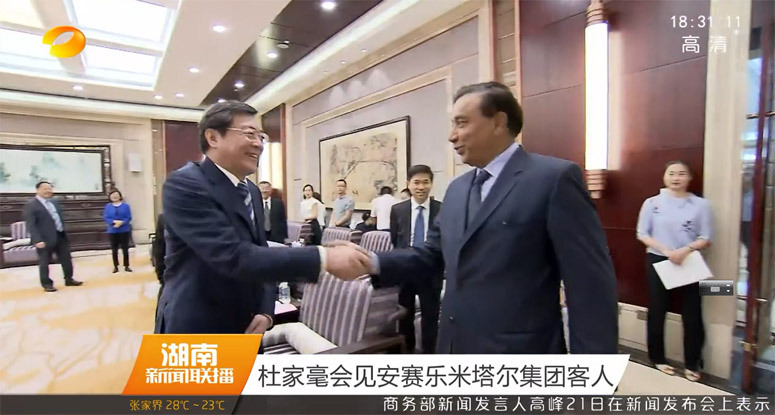 Lakshmi Mittal expressed his gratitude for the great support from the provincial party committee and government of Hunan. He said that since its SOP in 2014, VAMA has been improving its product quality, production efficiency and service standard, making itself a benchmark for supply-side reform campaign in steel industry. At present, R&D in automotive steel is undergoing a shift from quantitative change to qualitative change and his group will give full support with respect to technology and management, propelling VAMA to further improve its quality and production efficiency and helping Valin Steel to realize quality product supply. Provincial leaders Xie Jianhui, Zhang Jianfei and Executive Vice President Brian Aranha of ArcelorMittal participated in the meeting.